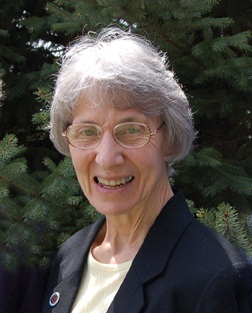 “Our Merciful God,” a Lenten retreat for oblates will be held at Annunciation Monastery, Bismarck, Sunday, March 1, 10:00 a.m. to 3:00 p.m. The retreat is open to oblates and anyone seeking to start Lent with a day of prayer and encouragement. Oblates are women and men who associate themselves with a monastery and live according to the Rule of St. Benedict as their lives permit. The Benedictine Sisters of Annunciation Monastery support the oblates in their journey to grow closer to God by offering monthly meetings, educational resources and prayer. The retreat begins at 10 a.m., followed by a break for Mass at 11 a.m. and lunch in the monastery dining room. The retreat resumes at 1 p.m. until 3 p.m.
No charge. For more information, contact Sister Patricia at (701) 255-1520.